In 1990, the Americans with Disabilities Act (ADA) was enacted to protect the employment rights and opportunities of people with disabilities, and ensure their access to public services and accommodation. In September 2008, the ADA Amendments Act of 2008 repudiated several U.S. Supreme Court decisions interpreting ADA narrowly, and provided additional clarifications intended to ensure the broad availability of ADA’s protections. The U.S. Equal Employment Opportunities Commission (EEOC) develops and applies employer standards, facilitates lawsuits by aggrieved employees, and can enforce ADA directly by filing its own lawsuits. Which Employers Are Subject to ADA? ADA covers an employer that is “a person engaged in an industry affecting commerce who has fifteen or more employees for each working day in each of twenty or more calendar weeks in the current or preceding calendar year, and any agent of such a person.” State and local government agencies are also covered, as are Congress and the Office of the President (most federal agencies are instead subject to the Rehabilitation Act). A physical or mental impairment that substantially limits one or more of that person’s major life activities. “Being regarded as having such an impairment” by the employer, even if the individual does not actually have a qualifying impairment. However, traits and behaviors are not, in themselves, mental impairments. For example, the EEOC Guidance on Psychiatric Disabilities states that stress, irritability, chronic lateness, and poor judgment are not impairments although they might be linked to such impairments. (A) In General … major life activities include, but are not limited to, caring for oneself, performing manual tasks, seeing, hearing, eating, sleeping, walking, standing, lifting, bending, speaking, breathing, learning, reading, concentrating, thinking, communicating, and working. (B) Major Bodily Functions … major life activity also includes the operation of a major bodily function, including but not limited to, functions of the immune system, normal cell growth, digestive, bowel, bladder, neurological, brain, respiratory, circulatory, endocrine, and reproductive functions. You should note, however, that questions about whether an impairment infringes on a “major life activity” still drive a significant number of court cases—and not always to consistent determinations. 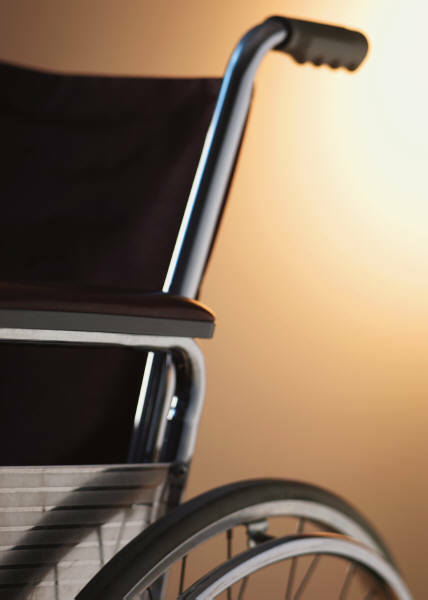 The impairment/disability need not necessarily be readily apparent, since they may qualify as disabilities when active, qualify as a history of disability if cured or in remission, or managed by medication, and mean that a person whose employer suspects the condition would be “regarded as” disabled. For example, the Supreme Court has ruled that Human Immunodeficiency Virus (HIV) infection can constitute a disability for purposes of ADA even before any symptoms appear. In May 2013 EEOC reaffirmed guidance that other non-obvious conditions are covered, including cancer, diabetes, epilepsy, and intellectual disabilities. ADA does not protect people whose impairment is caused by current lifestyle decisions, even if they may produce disabilities and/or discrimination. For example, ADA provides that any inability to perform work tasks because of someone’s current use of illegal drugs is not a disability. However, discrimination against someone disabled because of a past practice (e.g., a former drug user) probably violates ADA. First, the potential employer determines if the applicant is qualified for a job. An employer may not ask a potential employee disability-related questions at this stage, although these issues may arise if the employee requires accommodation in order to participate in the application process (such as wheelchair access to interview locations, or Braille copies or a reader for application materials). Second, the employer then determines if that qualified applicant is a “qualified individual with a disability.” A person meets this standard if he or she can perform the job’s “essential functions.” Essential functions are those responsibilities that the employee must be able to perform without the assistance of another employee, or with the assistance of a “reasonable accommodation” (such as a listening device or a special chair). You can determine essential functions in advance. They usually are limited to the purpose of the job, although in smaller workforces employees may be expected to perform functions that typically would be distributed to other employees in a larger workforce. Modifying existing facilities, including changes to allow access by employees with physical disabilities, and adding soundproofing or barriers to reduce distracting noise for employees with psychiatric disabilities. Allowing part-time or modified work schedules. Changing tests, training materials, or policies. Adjusting supervisory methods to provide more guidance and feedback. Providing a “job coach” to assist the employee. Reassigning the employee to a vacant position. Has the organization established a system of job descriptions? If yes, do they clearly identify and differentiate essential job functions and other job functions? If yes, do they include reference to employer policies and procedures (including workplace violence prevention)? Has the organization established pre-employment screening procedures that avoid asking potential employees about disabilities until after a hiring decision has been made? Does the organization have a formal policy affirming that reasonable accommodations will be made for qualified employees with disabilities? If yes, does the policy provide for employee-specific evaluations and accommodations?